The R&S®TMV9 VHF transmitter family offers unique flexibility by providing more than 50 different standard configurations. Featuring efficiency of up to 50 %, they achieve the highest energy savings on the market. The R&S®TMV9 contains open source software packages. Copies of the respective licenses are included in the Open Source Acknowledgement, see Downloads/Software area of this web page. The R&S®TMV9 VHF transmitter family offers unique flexibility by providing more than 50 different standard configurations. Featuring efficiency of up to 50 %, they achieve the highest energy savings on the market. Plus, the simple system configuration allows quick startup. 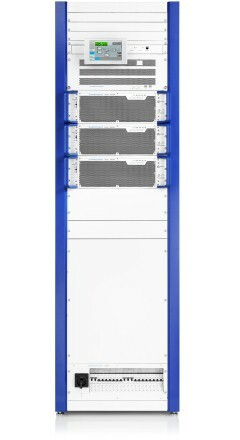 The high availability of the R&S®TMV9 ensures unsurpassed reliable operation. And its compact size saves space at the transmitter site. 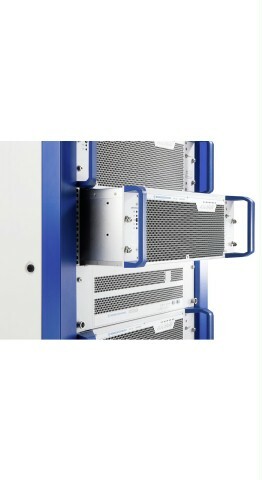 The R&S®TMV9 air-cooled transmitters attain output powers of up to 4.3 kW for digital audio broadcasting and digital TV and up to 6.9 kW for analog standards. The transmitters are accommodated in only one rack, saving a lot of space at the transmitter site. With efficiency values of up to 41 % in normal mode, the transmitters save a great deal of energy and significantly reduce CO2 emissions. The Doherty architecture for boosting efficiency increases this figure to up to 50 %. These figures are unparalleled on the market, making the R&S®TMV9 transmitter families the global benchmark for broadcast transmitters with optimized operating costs. The transmitters feature unique system variability. 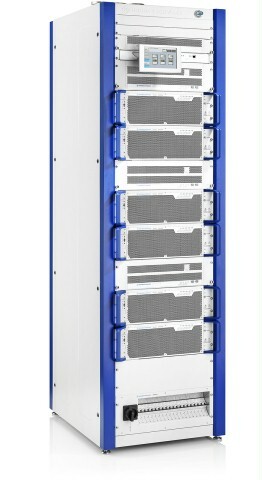 Innovative configurations, such as MultiTX or N+1 systems in a single rack, and built-in bandpass filters ensure short delivery times even for special transmitter configurations. Excellent efficiency and the integration of multiple transmitters into a single rack reduce the total cost of ownership (TCO) of a transmitter system by more than half over the system’s lifetime. 1) With built-in AC supply overvoltage protection; more stringent requirements must be satisfied by implementing appropriate measures in the station.